It's actually illegal to go to Hong Kong and not do yum cha. Yip, the Food Police will arrest you and lock you in Food Jail for such gross negligence. Yum cha is a total mainstay in Hong Kong culture. I grew up on this mid-morning feast of dim sums: dumplings, steamed buns and egg tarts, oh my! All of which you get to pick off carts trundling around the restaurant pushed by little Chinese ladies shouting out their wares. Think Chinese-style tapas that come to you. These days however, many restaurants will have menu cards at your table (invariably in Chinese) that you use to tick off the dishes you want and the waitress will bring the lot to your table. Either way, what you get is a glorious selection of tasty morsels of your choosing served in little plates or steamer baskets. There are gazillions of yum cha places in HK so there's bound to be one around no matter where you stay. We always just to go where our relos want to meet up (lazy, yea I know) so I don't really have a list of recommends but I reckon if you are travelling in Hong Kong, ask a local where to yum cha and you can't really go wrong. For the uninitiated, there are some basic rules of engagement. 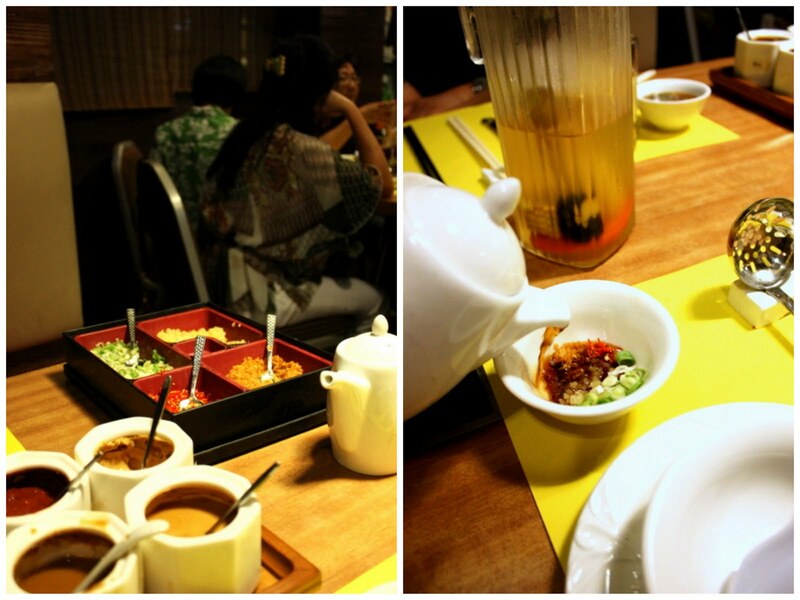 Firstly the term yum cha literally means "drink tea" so the drinking of tea is an integral part of the meal. The stock standard tea served is jasmine tea, but our family usually orders the intensely pungent smokey black tea called "bo lei" or ("pu er" in mandarin). It's supposed to aid digestion and is a great accompaniment to the meal. You should always top up the tea cups of those around you before pouring tea for yourself. And to say thanks if someone else is pouring you tea for you, it's polite to tap the table next to your cup with your pointer and middle finger while they are pouring. There will usually be a set of communal chopsticks on the table (in addition to ones you have next to you), you use the communal pair for picking the food up from the dishes on the table and putting in your own bowl/plate and then use your own personal chopsticks for eating. If the dim sum you are after in particular proves to be a slippery wee bugger and is resisting being picked up by chopsticks, use a toothpick to skewer it rather than poke your chopstick into the culprit. Don't be embarrassed to ask for a fork and spoon if using chopsticks proves to be too daunting, the waiters might even just give cutlery to you automatically if they see you are not Chinese (They get my husband every time even though he can use chopsticks and he's so dark about it!! :P). 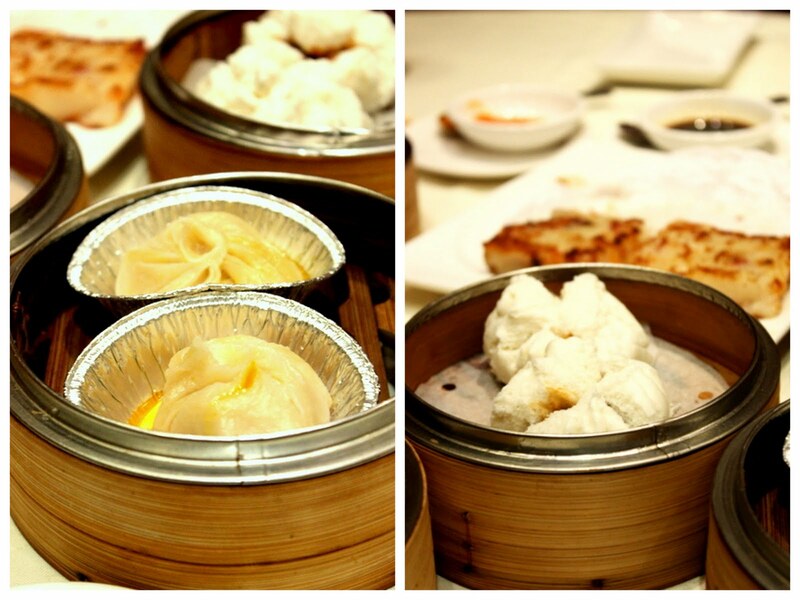 I love yum cha, it's such a bustling, busy and fun way to eat. What could be better than getting to try little bits and pieces of everything. Saves having to steal bits off of your friends' plates when you have dish-envy no? Steamboating a.k.a. Hot Pot a.k.a. "da been lo" involves a big bubbling bowl of stock in the middle of the table in which everyone cooks very thinly sliced pieces of meat, seafood, tofu and veges. You flavour the cooked morsels with a sweet garlicky soy dipping sauce and at the end of the meal get to drink the intensely flavoursome soup. It's rib-stickingly good and perfect for chilly winter nights. The fun of it is that you get to choose what to eat and you can cook it how you like. You even get to choose what soup base you start off with - bonus! For artillery, you get two pairs of chopsticks: a "raw" pair for putting the raw meat into the soup and an "eating" pair for eating. You also get a cute little slotted ladle you use to cook your meat in. It has a hook at the end of the handle to hook on to the edge of the stock pot so don't loose your ladle and you bits of tasty goodness. There is most definitely an art to not loosing your piece of meat into the abyss of bubbling stock, one that I unfortunately have not yet mastered. It's also a fine balance in making sure your meat is cooked properly but not boiled to the point of being meat flavoured bubble gum - vigilance is key. One of the best parts of the meal is getting to make up your own dipping sauce. I am a garlic fiend, so load up my sauce with double garlic, a little spring onion and chilli, topped off with a slightly sweetened light soy sauce. You can add sauces like satay sauce, mustard but I like it better with just the aromatics and soy - sweet, salty, garlicky, spicy = amaze-balls. To go in your steamboat, there is often a range of meats (beef, pork, lamb) sliced to paper thinness, slightly thicker slices of fish, an array of different types of dumplings, meat balls, tofu and veges. A completely new accompaniment we discovered, thanks to my cousins, were these deep fried curly things that were kinda like a pastry. You dunk them the soup for 30 seconds and they soak up the broth on the outside but stay crispy and crunchy on the inside. So. Darn. Good. Deep fried is my friend. There is a bit of an unwritten rule that you cook and eat the meat and seafood first before throwing on the vege and tofu. Not exactly sure why, but that's just how they roll. You get to drink the stock at the end and boy is it good: it's intensely flavoured by the original stock used and all the ingredients that were cooked in it and bubbled down to concentrate the flavours. It's seriously delicious speshly with the big fluffy pillows of tofu that have soaked up all the soupy goodness. A perfect way to end the meal. Ok so foodcourts aren't unique to Hong Kong either but Hong Kong foodcourts are a truly breed of their own. They like a normal foodcourt on crack: a thousand times more people, more stalls, more choice, loud, bright, manic. They also don't even operate like a normal foodcourt, where you go up to the stall, order your meal, pay and eat. Oh no, you have to go to the store, line up to order your meal, order, they then give you a ticket that says has what you ordered on it which you take to a cashier on the other side of the food court. You line up again to pay, pay, get a receipt which you then take back to the particular stall to collect your meal. Got that?? To top it all off, there aren't any instructions anywhere explaining this process. You just have to figure it out all on your own trying not to look too much like a clueless tourist. And I can't even begin to describe how totally packed out these food courts get. It's hard to move, let alone get around carrying a tray of hot food. And good luck finding a seat. You have to hover creepily over people that look like they are just about to finish eating, then dive into the seat the moment their bum lift off the chair. It's brutal, survival of the fittest, winner takes all, gladiator foodcourting. But it's totally worth it. The standard of food is top notch and it's an exhilarating experience. We discovered incredible Korean food at these food stalls, not to mention the amazingness of "durian pancakes" (which I will elaborate more on in the last of this series). So there you have it, a quick perusal of some of the weird and wacky ways of eating in Hong Kong. I haven't even gone into street food, dai pai dong, tea houses, herbal tea stalls, cake shops and the myriad of other ways one can dine out in this food-obsessed city. It's no wonder why the traditional Cantonese phone greeting is "Sik jor fan mei ah?" ("Have you eaten yet?"). Hong Kong is like one big foodcourt and I can't wait to eat my way through it again. I love eating in Hong Kong! 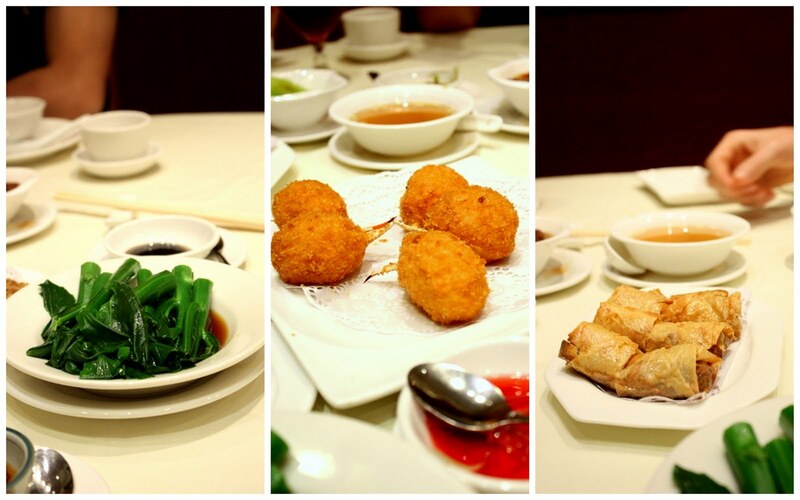 I'm not much of a chain store person, but have really enjoyed having yum cha at the Lei Garden restaurants. Several of them have a michelin star too, and the food is still cheaper than in Auckland! Don't forget the street-side food. Yummy eggettes, and stinky tofu on a stick, and... gosh, I'm getting hungry! Today I was invited by a hot psychiatrist to visit her place in HK (I'm in psych conference in Melbourne atm). She thought I was a psychiatrist too, I think judging by the food, I should play along huh? Hahaha. I think dim sum is a d'finit must! Never been a big fan of steam boat tho, somewhat there's no wow factor to them. I do, tho, prefer to dip and eat my thinly sliced beef straight away (pink and tender), without boiling them to death. Awesome journey you had, Nessie! Your macarons look amazing. Rose Quince Buttercream? Wow?!! Nom Nom Panda: Isn't it crazy how chain food is actually good in HK?? We even like eating at Cafe de Coral and Maxims! Hong Kong takes their food Very Seriously. PFx: Go Pierre!!! You should totes play along! Place to stay in HK is worth its weight in GOLD!! I hear ya with the food court hangryness - it brings out the worst in me ay! You def learn to stand your ground in those places hahaha!!! Our family also gets "bo lei" tea or more recently, "tee goown yum". I always drink loads of tea at yum cha. I find it comforting so maybe the aiding digestion thing really works. I didn't get to have steam boat in Hong Kong but we had it here in NZ once this winter. The thinly sliced beef in your photo looks stunning! Look at that marbling! I'm glad you mentioned the soup/stock at the end. That's my absolute favourite part of steam boat. It's soooo flavoursome. I think people often confuse flavour for salt. They aren't the same thing. Many junk foods are salty without having a lot of flavour. For example lots of burgers are salty, yet lack flavour. Many fries have little flavour, just salt. The soup you get at the end of steamboat is full of flavour without being salty. Umami goodness. I love to say "Sik jor fan mei ah?" to my little sister when she phones me up. Oh and Cafe de Coral. I loved it! When we stay in Hong Kong, we always stay at my grandmother's apartment and they have a Cafe de Coral downstairs. Why bother making breakfast when you can order something fresh and delicious for cheap? I loved that I could have congee with chicken and scallops for breakfast while my husband had eggs and sausage. They even offer roast duck for breakfast. Heaven.